2 New Stampin' Up! Product Lines are coming! Here's the inside scoop, Stampin' Up! announced yesterday that there will be 2 new product lines coming. Yah! I also wanted to let you know how these new product launches may affect product availability and your crafting experience. Stampin' Up! is making Big Changes to their Die-Cutting and Embossing Product Line for the best Paper Crafting experience. The Big Shot will not be in the upcoming 2019-2020 Annual Catalog. Stampin' Up! will be working directly with the manufacturer to bring us a new die-cutting/embossing machine, but it won't be here in time for the catalog launch. Good things are coming our way. We just need to exercise a little patience. Stampin' Up! announce the retirement of our current Paper Trimmer on April 15, because we are getting a NEW Paper-Cutter! There will be a gap in time from when the Big Shot and the Stampin' Trimmer retire/sell out and when the new Die-Cutting & Embossing Product Line and the new Paper Cutter will be available. Neither will be available when the 2019-2020 Catalog launches. We're not sure yet when our new tools will be available, but I will keep you posted. You may wish to stock up on Trimmer Blades to hold you over until the new cutter is available. Stampin' Up! has ordered an estimated 6 month supply of blades, but the keyword is estimated. To avoid being disappointed you may want to order your supply soon. You can continue to use your Big Shot or other cutting/embossing machine with all your dies and embossing folders. No worries there. Watch for new style dies and embossing folders in the 2019-2020 Stampin' Up! Catalog. The good news is that they will also work with your Big Shot. Dies, embossing folders and trimmer accessories could sell out quickly when the retirement list is announced on April 15, so to avoid disappointment place your order early. New Customers Place an Online Order in my Online Store and I'll send your new Catalog asap. Note: If you check the No Contact Box, I will not be able to send your catalog, because I won't have your name or mailing address. Stamping Country Preferred Customers (Anyone who has placed an order with me in the last 12 months.) Note: If you have changed addresses since your last order or have switched to a different demonstrator. Click Here to Log In and update your profile. 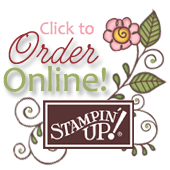 Hobby Stampers and Business Minded Stampers Have you been kicking around the idea of purchasing the Stampin' Up! Starter Kit? Get your No-Obligation Deal of Deals now and you will be on board for pre-order privileges in early May. You'll also receive the catalog with your first order in May! Find out more here.